The existing Cone Health patient referral process was cumbersome for physicians. When a patient suffers a ST-Elevation Myocardial Infarction (STEMI), where a patient’s artery is blocked, preventing oxygen flow to the heart, the delay in receiving care can be fatal. 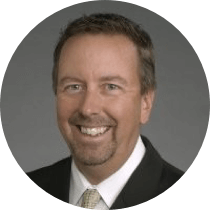 By streamlining that referral process, Dogtown Media and Cone Health aimed to decrease the time taken to refer patients for emergent care, ultimately leading to more lives saved. 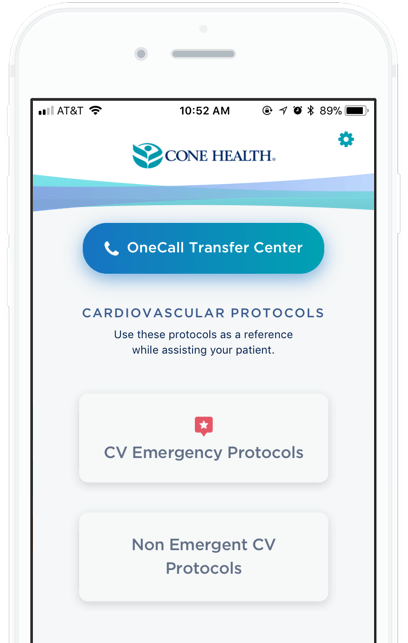 Using a pre-existing cardiovascular app solution built by the Dogtown Media team as a basis, the Cone Health CV One Call app was customized to suit the needs of their constituents and branded to reflect the iconography of the Cone Health network. Dogtown Media’s team guided Cone Health through the process from design to development and ongoing maintenance. Dogtown’s UX/UI designers took the existing protocols from Cone Health and evaluated the workflows, to ensure the goal of a streamlined referral process for physicians was achieved through improved UX. 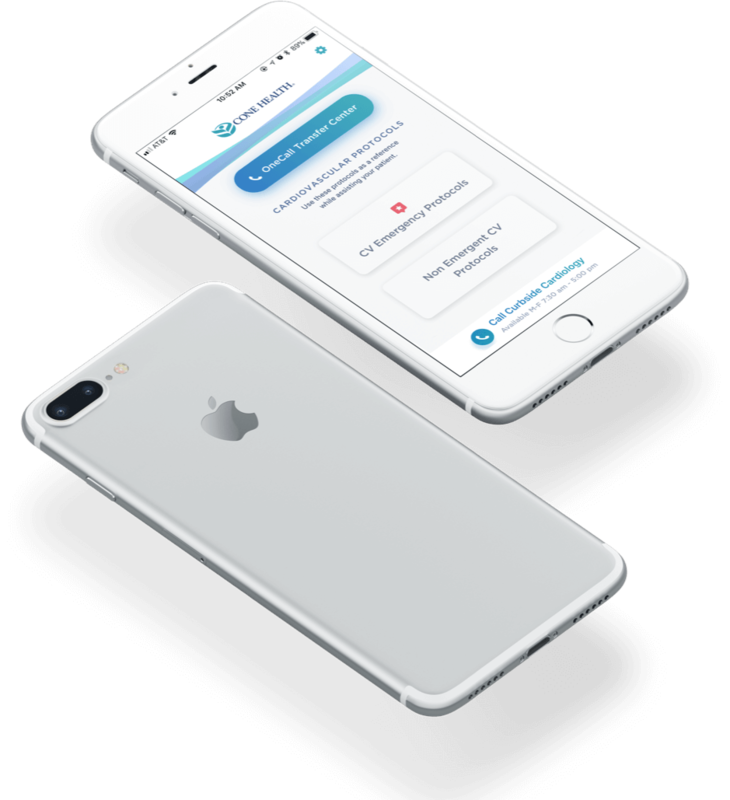 The Cone Health CV One Call app provides referring physicians at smaller hospitals in the Cone Health network with an efficient way to call the transfer center and refer patients who need additional care. 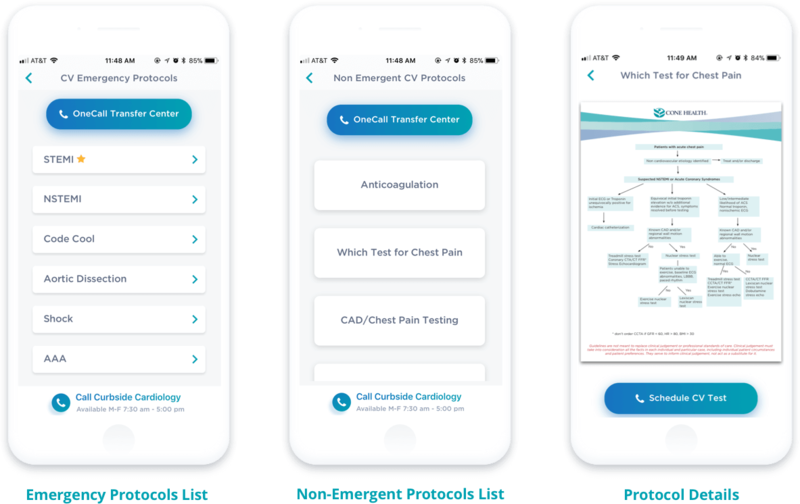 The app also provides physicians with useful resources like clinical guidelines and protocols for what to do during a STEMI heart attack emergency. Users report that the app is very easy to navigate, enabling referring physicians to quickly and easily direct STEMI heart attack patients to the Cone Health cardiovascular care services to receive the life-saving treatment they need. Current referring physicians have already used the app to actively saving lives in the field. Talk to us about incorporating this solution into your healthcare network today.